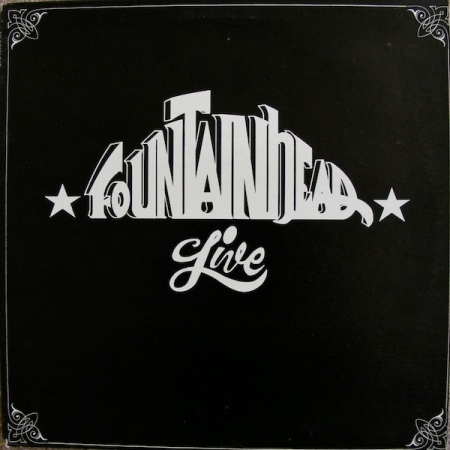 Unknown to many people, almost mythical for some ones due to their 1981 “Live”, Fountainhead is a band from Connecticut which was at its best on the wrong time, on a commercial point of view. Ken Griffen, one of the band founding members, tells us the story. 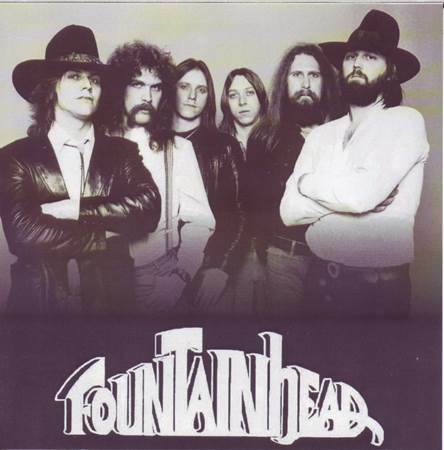 I read on your website that Fountainhead was founded by yourself (keyboards) and guitarists David and Art Deske Kufta in 1974. What was the musical history of each player before and what were the musical influences of each of them? We loved the music of Jerry Jeff Walker and Willie Nelson. Nobody else even knew who they were, but we played this Texas music and spread the word. We also loved The Grateful Dead and Lynyrd Skynyrd and The Allman Brothers and the old blues songs The Rolling Stones had originally played. Can you tell us about the setting up of the band? What was your musical project? In 1974 after finishing college Dave Kufta, Art Deske, and Ken Griffen rented a beat up little house by the ocean in Old Lyme Connecticut. As there were many night clubs at nearby Sound View Beach we wanted to play music, drink beer and meet girls. We did all three abundantly. For your “Live” record, besides you, Art and David Deske Kufta, there were guitarist John Frisell, drummer Gordie Folsom and bassist Marc Couture. When and how did they come in the band? One night we saw John Frisell and Marc “Frenchy” Couture playing the blues in a rival group and we knew we had to have them in Fountainhead. Gordon Folsom was hired after auditioning over 30 drummers because John and Frenchy would only play with the best. The band really came together in 1977 when John Frisell joined us. We had hired a new bass player Scott Fitzgerald who was John’s roommate. John was in another band called Little Village but was fighting with the leader of that band. Scott asked him to come meet us and we all became friends. John then decided to join Fountainhead. 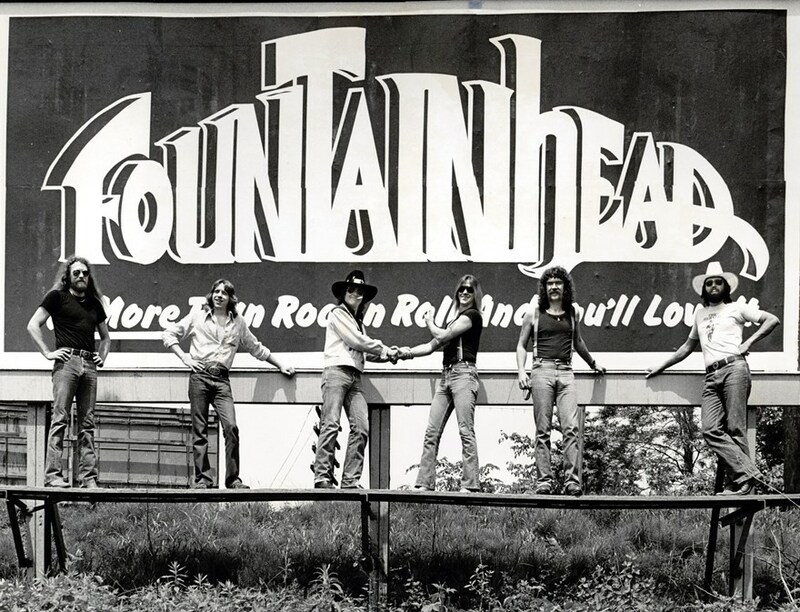 Fountainhead had just been voted number two band in the state, number one was a singing group called The Simms Brothers. We introduced John in a concert for the top five bands in that vote at The Waterbury Palace ,a 1000 seat concert hall that was sold out. So we were number two without John and with him after that we were top guys. John’s influence was B.B. King. Is Marc Couture a French man? Marc Couture’s grandparents were from French Canada, Quebec. He and his parents were born in the USA. He joined the band in late 1978. Scott Fitzgerald quit the band to go to Texas. (He died later down in Texas jumping from a plane when his parachute did not open). Marc was the bass player from John’s old band Little Village and a friend of John so we hired him. Keeping John happy was the most important because his guitar playing was the biggest part of the band. What were the other important events for the band between 1974 and 1981? The band had many high points playing big concerts with The Allman Brothers, Lynyrd Skynyrd, Marshall Tucker, Jefferson Starship and others. We also recorded at RCA studios in NYC and thought they were going to give us a record deal. Everywhere we went people loved us. Our live show was powerful and full of fun. No band was better back then. Our dressing room was always filled with many women and that was fun. We knew we were the best show, but we could never get the money backing or the producer to believe in us. We needed a good producer and manager to help us. You got a deal with a label called Toad’s, can you tell us about it? Toad’s Place near Yale University and an hour from New York City was and is the premier venue for original bands to play in Connecticut. We are the only band ever to be on their private label. Can you tell us about the recording of this live album? We brought on Johnny Sandlin from Alabama who had worked extensively with The Allman Brothers to record and mix the album. We recorded it over two nights in 1980. Toad’s was wall to wall with fans. Everyone is credited on vocals. Who sings what song? Why did you add two covers to the set-list? Didn’t you have other original songs? Why did you choose to cover “Born To Be Wild” and a BB King blues? We fully expected to get a major deal at RCA in New York where we were recording other originals. We didn’t want to waste too many of our original songs on the Live at Toad’s album. “Born to be Wild” and “How Blue Can You Get” were favorite songs in our live shows. We had over 50 originals. Some of our best songs were never used. How was this album received? The Live at Toad’s still has the record for most sales of a local band in Connecticut. In 1982 was released “Mouth Straight From The Source”, recorded in several studios. How long did you need to complete all the recording sessions? “Straight From the Sources Mouth” was a bunch of demo tapes we had made for record companies between 1979 and 1982. By 1981 record companies were looking for New Wave bands like Blondie and The Knack and not even resigning the Southern Rock big bands. Our time had passed. What was the Fountainhead story after that? Did the band split? In the late 70’s New Wave dominated the airwaves and we could not change who we were. I would have kept trying, but Marc, the newest member and John’s friend convinced John and Gordon Folsom to go three pieces and start a new band. 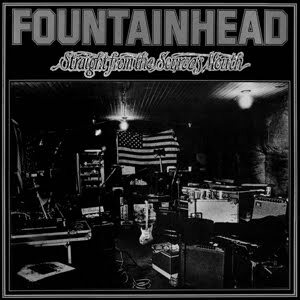 Fountainhead had many bills from recording and we were not making much money. With three they could leave the bills and spilt the money three ways instead of six. So they started a new band and left us. Their new band called Aces and Eights lasted for only four months. 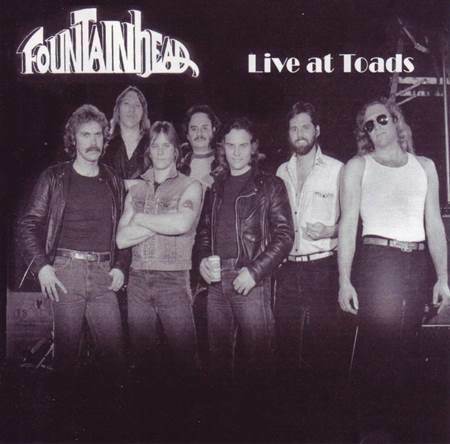 Fountainhead kept on playing with new members and we paid all our bills. We hired Gordie back when Aces and Eights ended. He is still with us. David Kufta quit music and moved to Georgia. Sometimes Artie, Gordie and I played with John and Marc, but never asked them back into the band. It would upset our new members. Marc moved to Arizona. John’s new wife doesn’t want him to play with us, but to stay home. But he will if I ask him. Maybe soon. You have released the two albums on CD. Why didn’t you keep the original front covers? To release the CD’s, which we sell through the mail, I decided to put the old pictures of the band instead of the original covers. I still have many of the vinyl records. Do you have other unpublished recording tracks? We have many studio and self-recorded tracks that I put on CD’ and send out to fans for free. How is it possible to get your two albums? C.D.s of the two albums are available for $15.00 each at skg@aol.com. If they order there with email I will instruct to pay by Paypal. I still have some “Live At Toad’s” on LP. It’s $25 and I pay postage. 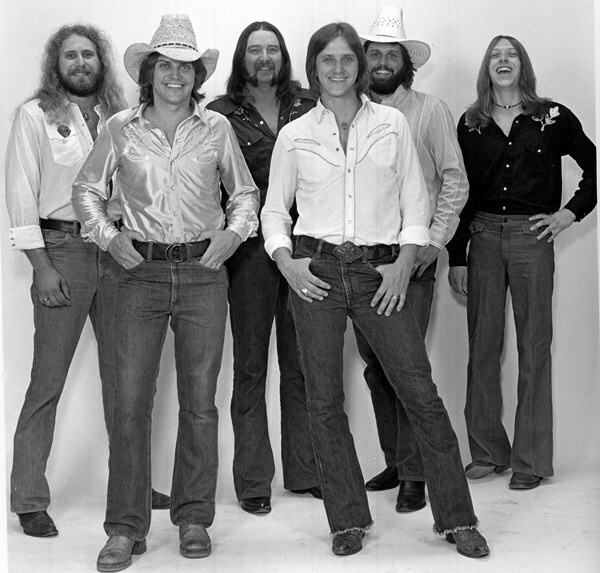 Fountainhead played with Lynyrd Skynyrd, the Allman Brothers, the Marshall Tucker Band, the Outlaws, the Jefferson Starship, Link Wray, Pure Prairie League and Dickey Betts. What are your greatest memories? Playing with the Allman Brothers on New Year’s Eve when they were big stars at the New Haven Coliseum was a great gig, but Marshall Tucker had a party for us when we played with them because it was Dave Kufta’s birthday. Many great memories. Did you, and do you only play in Connecticut? We used to play in the states of New York, Pennsylvania, Rhode Island, Vermont, and Massachusetts. In Albany New York they did a TV show with us on public television. What is Fountainhead doing nowadays and what are its plans? We play mostly in Connecticut and once a month now. Since 1984 I have been a Financial Advisor and am currently a Senior Vice President with Merrill Lynch / Bank of America. We play now only for fun. Trying to make the big time is just one big heartbreak. But we had our moment and the original Fountainhead was a great band. The new band is pretty good, but we have lots of fun and we all love each other. In the new band is my cousin Stephen Nystrup who played with me as a boy. Also a woman singer from a rival band. Her name is Susan Rivard. Our bass man is Bucky Pitz.